The Elo Touch Solutions 7200-series chip-on-flex (COF) controllers are designed to work with Elo’s Projected Capacitive (PCAP) touchscreens. The 7200 series is compatible with TouchPro® Pro-F screens from 7” to 15.6”. This family of controllers supports excellent touch performance with gloves, screen contaminants, and a wide temperature range, making it a great choice for challenging applications in industrial environments. 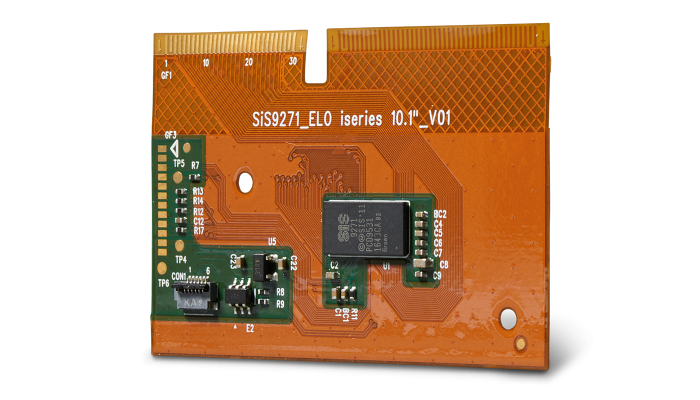 Elo’s 7200-series controllers were designed specifically for customers that prefer the simplified logistics and ease of assembly that an integrated screen and COF controller offer. 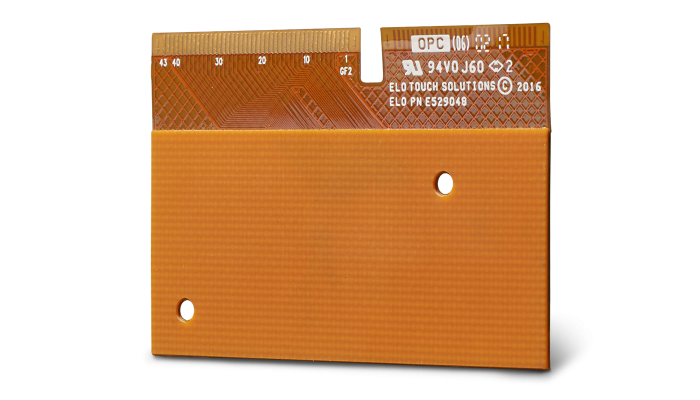 The 7200-series controllers are designed to provide a high-performance touch experience when paired with Elo’s TouchPro® PCAP touchscreens. They are optimized with Elo software and drivers to provide high reliability in a lower profile design. 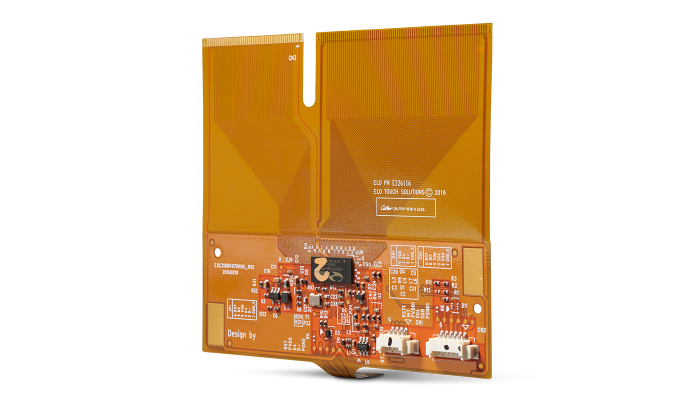 Using industry leading control ICs, our controllers combine the best of mutual and self-capacitance architecture for fast touch response, enhanced liquid resistance and noise immunity. 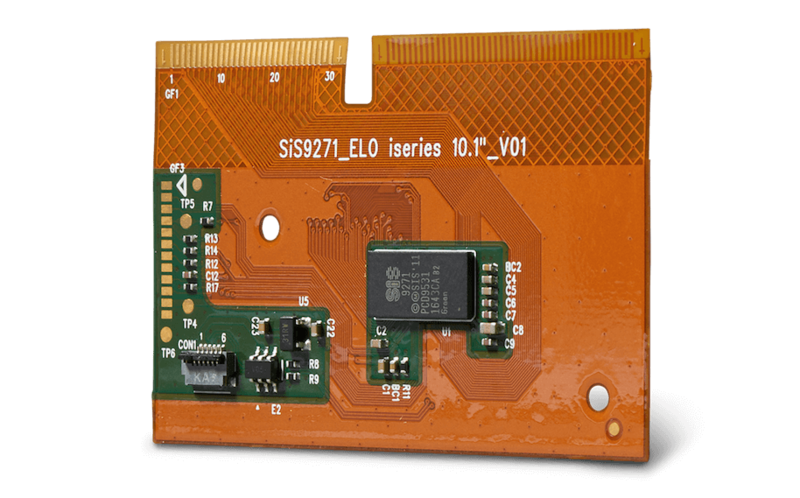 Elo’s 7200-series controllers have multiple form factors to choose from. Contact Elo for more details.